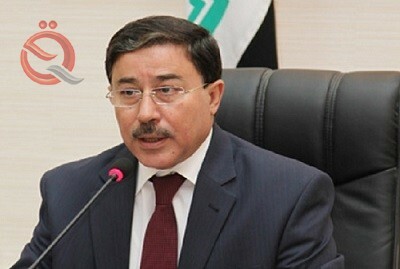 The Governor of the Central Bank, Ali al-Alak, that Iraq has implemented all the recommendations of the International Financial Action Organization "FATF" of 44 recommendations, which moved from the follow-up area to the regular follow-up area, which is subject to other countries every two years, noting that Iraq ranks fourth Arab as the best Foreign currency reserve. The governor of the Central Bank Ali Al-Alak was named the best central bank governor in the Arab world for 2018 by the Union of Arab Banks at the Arab Banking Summit held in Paris at the end of June. This was the result of his policies which contributed to saving monetary policy and fighting money laundering and terrorism. "noting that" the biggest risk to the banking and financial sector is the subject of money laundering and financing of terrorism and if we do not take international action, this makes global financial institutions cautious and reluctant or reluctant to deal with Iraq, which leads to significant risks to the work of the banking sector ". He added that "Iraq today completed all the recommendations of the International Labor Organization, which are 44 recommendations and we were able to face all the challenges in the implementation of these recommendations," noting that "Iraq is currently in the stage of follow-up or international scrutiny of the work of the Central Bank and banks and government institutions to identify the strengths and weaknesses in Our work ". Al-Aalak said that he was "briefed on the World Bank’s 2012 report commissioned by the Financial Action Organization and contained 700 points indicating the existence of a flaw in all joints related to the subject of money laundering and the financing of terrorism.
" Terrorism and was able to move Iraq from the stage of danger to the stage of safety and exit from the black list and save the banking sector from the interruption of the outside world in financial transactions. He pointed out that "the most important step we have taken is to legislate the AML / CFT law in a new format that takes into account all the developments in the money laundering and terrorist financing file, in accordance with international standards, which gave force to all Iraqi parties to abide by these rules, and does not oppose the laws legislated earlier "" Under the AML / CFT Act, the National Council for Combating Money Laundering and the Financing of Terrorism is a committee to freeze the assets of terrorist funds. "He pointed out that "the Central Bank has formed several sections in banks, including compliance and risk management, which gives strength to the work of Iraqi banks in the fight against money laundering and financing of terrorism," explaining that "the main success indicator of our work is the diagnosis of cases of money laundering goes directly to the judiciary, The work of the system in general . ""For the first time in the history of Iraq, there are dozens of cases referred to the judiciary on suspicion of money laundering and financing of terrorism, and there are several decisions issued freezing funds of terrorists and there are some issues for the first time to be included in the United Nations. Last year we had a meeting in the Security Council is the first Of its kind to put Iraq’s strategy in the fight against money laundering. "He pointed out that "the law of the Central Bank does not allow investment reserves existing at the Central Bank only in specific areas, because it stems from the philosophy of not exposing the reserves to any kind of risk on the one hand, on the other hand, the reserve must be always available such as current accounts . He stressed that "Iraq’s reserves are fully insured in accordance with the standards of the International Monetary Fund, and occupies Iraq ranked fourth in the Arab reserves of foreign currency," adding that "Iraq’s foreign currency reserves growing day after day.
" noting that "the biggest challenge facing Iraq is stability And his absence greatly affects investors and sustaining the economy, "he said." When stability is achieved, it will lead to the recovery of the banking sector and the central bank, and will also inspire investors to invest in the country. " Posted in bank, Banking & Finance, Central bank, Central Bank Iraq, Central Bank of Iraq, Central Bank or Iraq, Economic News, Citi, Citigroup, Commission, Committee, Currency, Dinar Speculator, Iraqi Economic News.